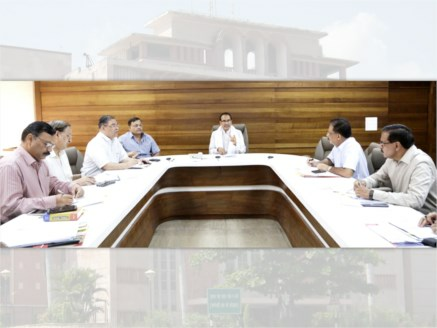 Reviewing prominent schemes of all departments at the Mantralaya, Chief Minister Shivraj Singh Chouhan on July 10 instructed the departmental heads to pay special attention to the schemes, proposal lying pending with the Centre for approval at various levels. He instructed them to be in regular touch with the concerned officials of the concerned central ministries. 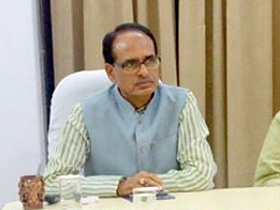 CM Chouhan reviewed the status of schemes of important departments like Finance, School Education, Social Welfare, Cooperatives, Civil Supplies, Agriculture, Medical Education, Women and Child Development and Revenue department on this occasion. The Chief Minister issued directions to start a sapling-plantation campaign from July 15. He instructed to speed up work on declaring all districts of the state open defecation free by October 2. Reviewing the Agriculture Department, he asked to hold a discussion with concerned departments and agencies of the central government to explore the possibilities of export of the soybean of the farmers of the state to foreign countries. Reviewing Mukhya Mantri Jankalyan (Sambal) Yojana, CM Chouhan said that this scheme has taken inspiration from Antyodaya Darshan of Pandit Deendayal Upadhyaya. The government is committed to providing social justice to the people belonging to the poor and weaker sections. He instructed all departments to pay attention to the implementation of their respective schemes. All schemes are beneficial to the poor and can strengthen the economy of the state. Many of these schemes have been adopted by other states and Prime Minister Shri Narendra Modi has praised them too. 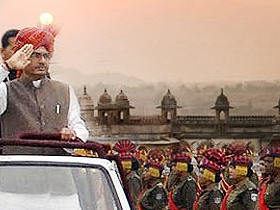 Chief Minister Chouhan said that the schemes of the state involve people’s participation. Referring to the Mil Banche programme of the School Education Department, he said that this programme has become popular due to the participation of the society. Similarly, Madhya Pradesh leads in the purchase from GeM -the integrated system of the Centre for government purchase. He said that the state has attracted the attention of the whole country through Ladli Laxmi Yojana, Ujjwaja, adoption of easy methods of trade, giving chances to outstanding students to pursue higher education.